Call us if you needed these metal roof attachments yesterday, we offer the best discounted pricing on large orders that need expedited shipping. The S-5-U is by far our most popular roof clamp. Customer have used it for attaching ColorGard, X-Gard, 55RF (Snow Guard by Levi's Building Components) and other rooftop applications. It can be used to clamp anything to a standing seam metal roof. If this clamps does not work try out the other selection of S-5! metal roof clamps that we carry. The S-5-U is comparable to other roof clamps carried by Sno Gem Inc., Universal Clamps, and AceClamp. 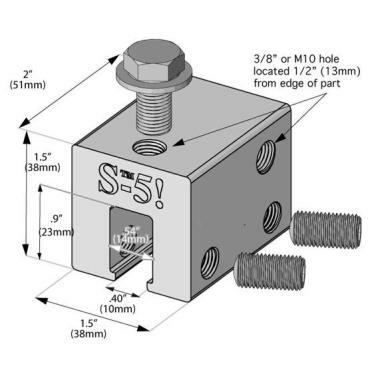 If things like signs, walkways, satellite dishes, antennas, rooftop lighting, lightning protection systems, solar arrays, exhaust stack bracing, conduit, condensate lines, mechanical equipment are needed to be installed on the roof or on the metal fascia of a building we recommend the S-5-U Mini clamp or one of the other mini roof clamp selections as a cheaper attachment solution. Other S-5! standard clamps Click Here. 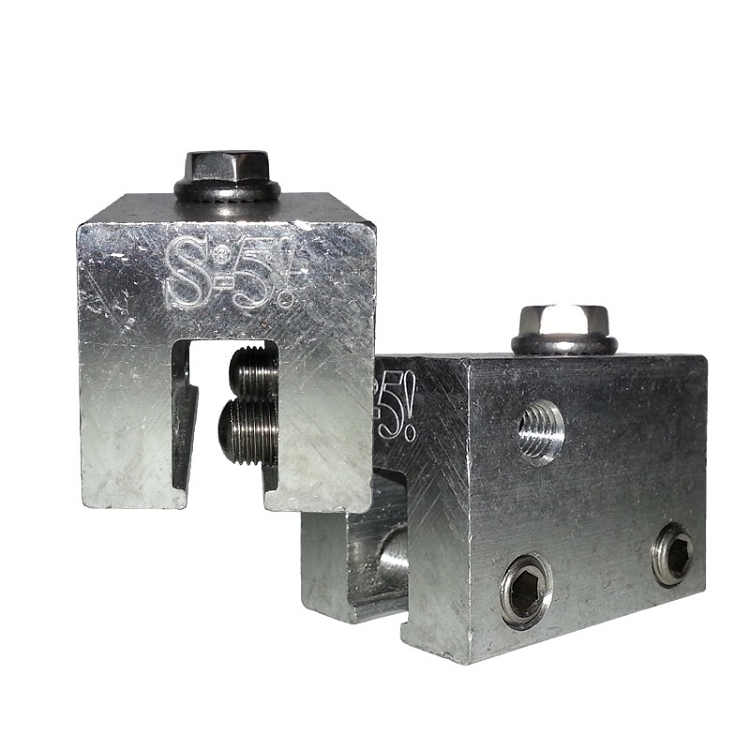 The S-5-U is an aluminum attachment clamp used for standing seam metal roofs; also known as, a clamp-to-seam mounting system. 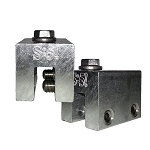 This universal metal clamp can be applied on vertically oriented seams or horizontally oriented, 2" seam profiles. Many of the roof specifications for snow retention systems require a non-penetrating roof clamp. Round-pointed, stainless steel set screws are what allow this standing seam clamp to attach to over 85% of standing seam roofs without penetrating the roof system. This product is equal to other snow retention cube clamps known as: clamp-on snow rail, seam mount snow rail, standing seam roof clamp, metal roof clips, metal roof clamps, metal roof seam clamp, roof clamp, universal clamps, clamp-to-seam bracket, pipe snow guard, clamp to seam snow fence, clamp-to-seam bracket, bar snow fence and snow rail. Great price, quality product, fast shipping. Excellent quality, very robust and easy to use. I have used S5s for more than snow guards on raised seam roofs including chimney support anchors and attaching a coupila. Q: Do the clips come with the bolt shown in the picture? A: Yes, the S-5-U clamp comes with one M8 bolt and two stainless steel setscrews. Q: does the s-5-u snow guard clamp come with set screws?